I made a short video of how I mark for Baptist fan quilting. I used brown paper as the quilt top and a sharpie for marking so that it would show up well but you should use something washable! I like Crayola washable markers….but chalk, or a waster erasable marking pen work well too. I know there are many ways to do this but that is how I marked the one I am currently working on. Sometimes I don’t mark at all and just follow the curve of the quilt hoop. I also got the cabinet finished. It was sort of a mess. I use denatured alcohol and steel wool to clean the old finish ….it sort of dissolves the finish and then I wipe it down with paper towel. the alcohol dries fast and is much less harsh than paint stripper. After it is dry I put on a coat of shellac which also dries fast……dry to the touch in 30 minutes. 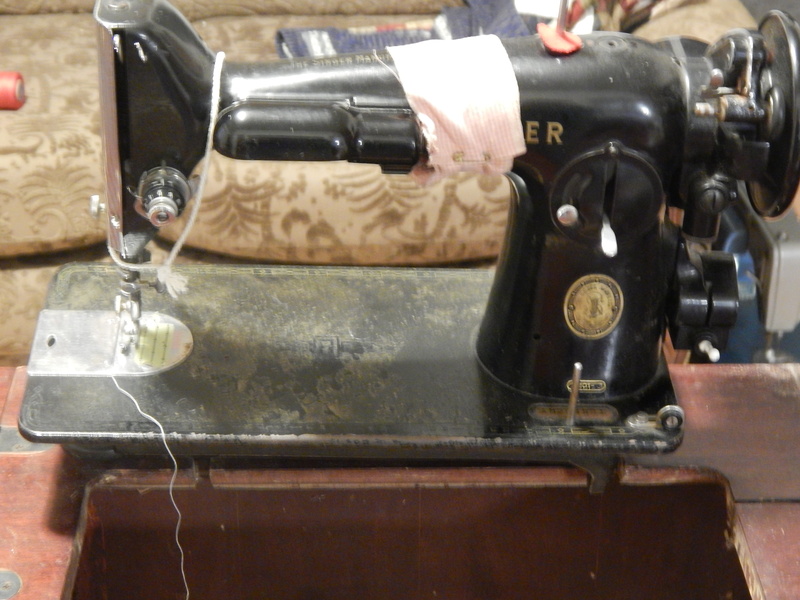 While that was drying I decided to have a go at fixing up the Montgomery Ward machine that was in it. It is working great now. Nice stitches and it looks pretty too. The feed dogs drop easily on this one so I tried out a bit of free motion on it….works great. 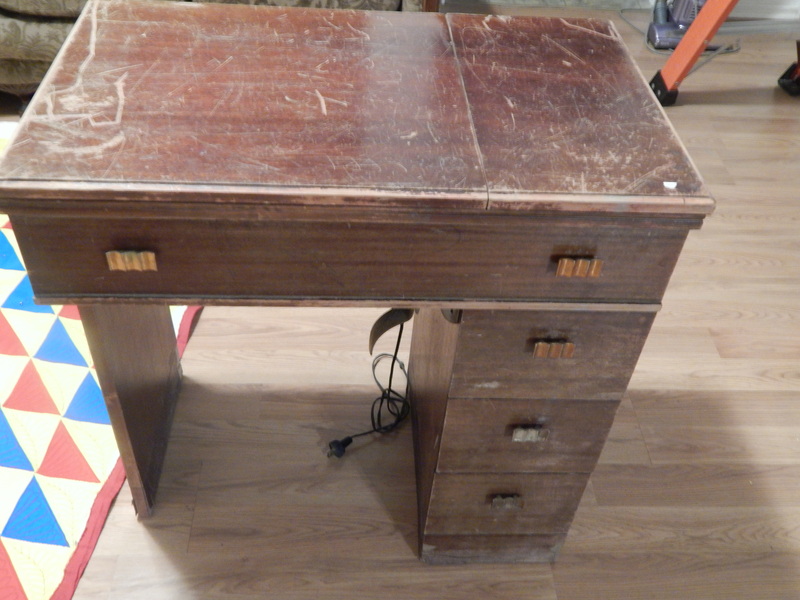 not bad…cabinet and machine 22 dollars! 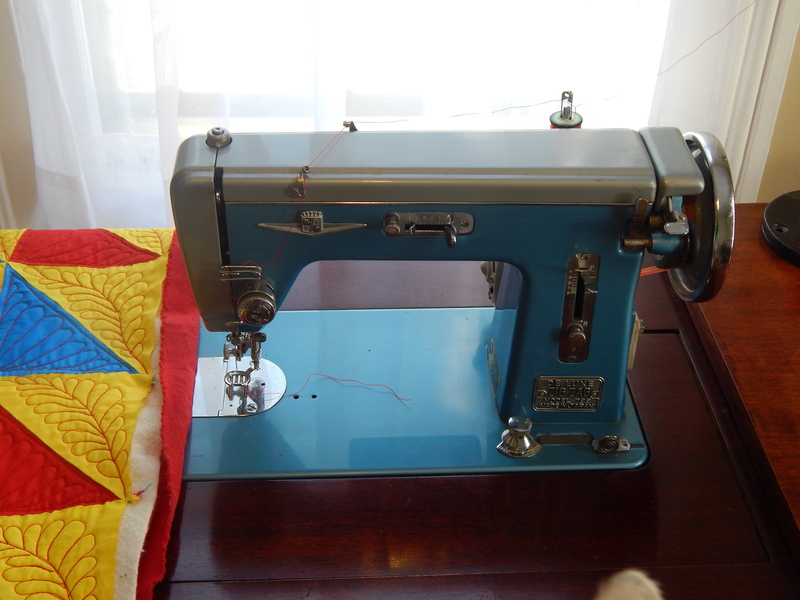 This entry was posted in Quilts and tagged marking for baptist fan, Quilting, Quilts, vintage sewing machine. Brilliant! Thank you, thank you! Why , or why do I over complicate things?!?! This helps me so much. No, you do amazing things to rescue items. Your hands look like mine. Hard working. As I said before, this is my favorite pattern to use. Most effective and works for everything and quicker and traditional. I knew immediately it was stain, mine get that way. Constantly. I’ve given up on manicures, a waste of money. You’re a hard working man. Can’t get over how beautiful that cabinet is. I have heard those as well….I have also heard Methodist fan…. Wow, that cabinet came back beautifully. Teddy steps up! I always knew he would make his move when the time was right. All that supervision — who says management can’t get in the trenches and do the actual work! I think he just knows that posing in the chair gives him apparent quilt cred — and he knows his best side for the camera, no doubt. Looks great, nice machine, too, You’re going to have to start expanding into other rooms at this rate! LOL! I cannot believe that is the same cabinet. That is amazing. That cabinet looks amazing! You sure could see it! 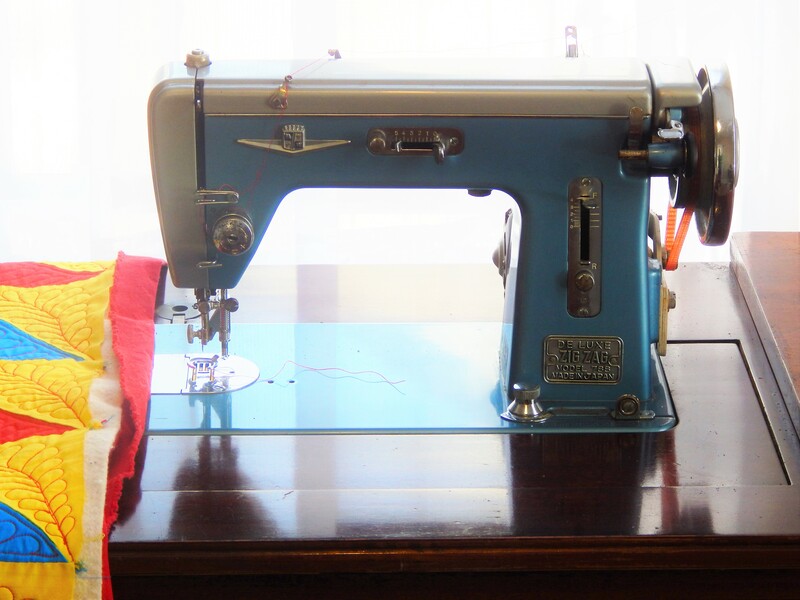 The machine looks shiny too and is the perfect compliment to be quilting those feathers! Go Teddy!!! (Wouldn’t it be great if he really could be a second pair of hands?). . .well, I’m sure he is helpful in other ways!!! Thanks for that video. I may have to watch it a couple of times to commit it to memory. Re: the cabinet – what useful information that is too. I can’t believe how beautifully it turned out! I will have to try that out on my cabinet, too. Can it work on just a bad spot if the rest of the cabinet is in good shape? Thanks for all you do to keep us in the know! I have done it on just selected spots (for example just the top of a table)……it might be hard to blend it in if you do just one spot …. 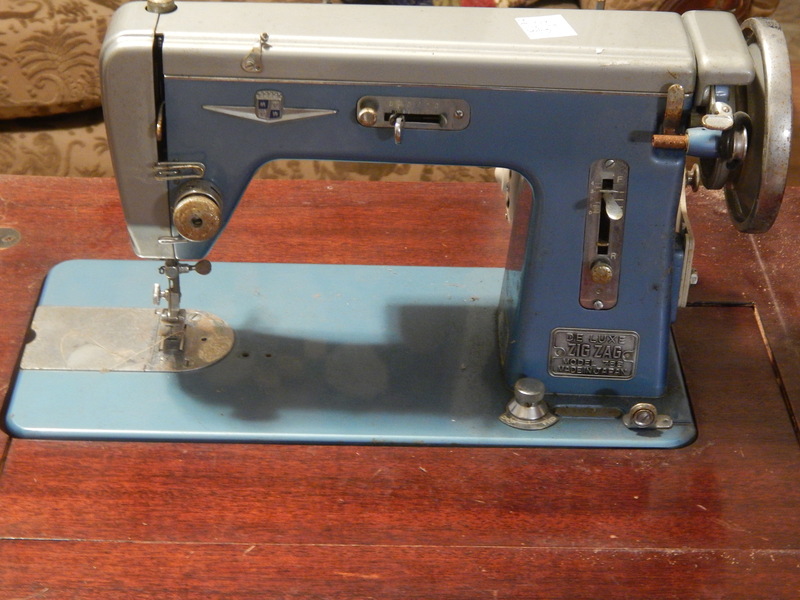 Fixing that sewing machine!…you have so much patience. I’ve never tried using that method for cleaning up old cabinets – can’t wait to try it. The machine/cabinet duo looks amazing! Thanks for the fan marking video. I’m definitely going to give it a try. Your cabinet and machine look great after the makeover, and I’m so glad you’re going to rewire the knee lever. That’s one of my favorite features…no groping around for the foot control! Thanks for sharing, Tim. Great video & I love how your cabinet turned out & it’s great that you got that machine running again! I’m a big fan of knee levers, since my mom had one on her machine when I was in high school! Now I have had to learn that the knee lever on my Bernina doesn’t make the machine go, it raises the presser foot! Several lessons in this post; thank you! What is your method of removing rust from the parts of a sewing machine? What a difference a day makes to a sewing cabinet and machine. They look fabulous. Thank you for the video, I have used the ‘length of a piece of string’ method for marking garden beds as well its simple, economical and no mathematics required. exactly! no math is my favorite part! 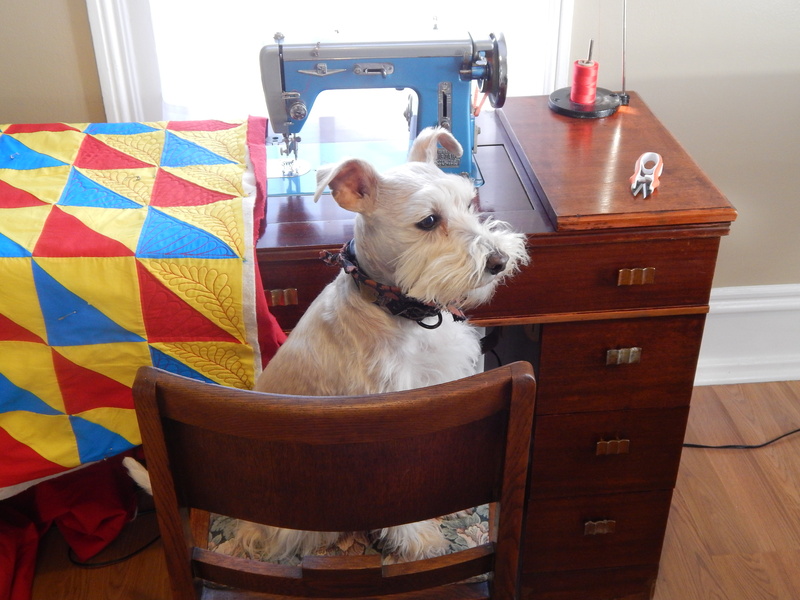 I learned to sew on a treadle sewing machine. So impressed how you converted yours to be able to machine quilt. 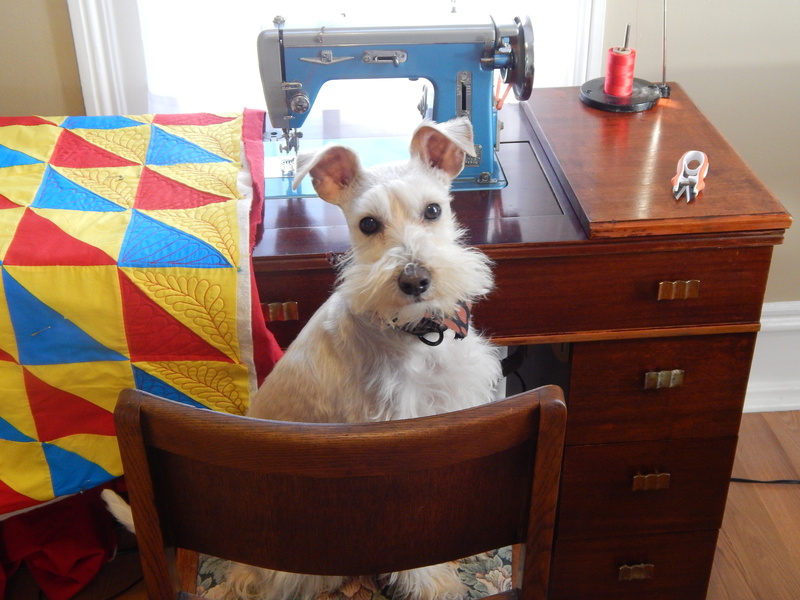 I enjoy sharing your quilting journeys with you. I just wish I finished tenth of the projects that you do. 🙂 and I keep wishing I could finish more ….I think it is all about perspective ….but most important is to have fun at whatever speed! Thank you Tim for the video. I can see that this technique would also work for marking a clam shell design. You amaze me with everything you accomplish. I am inspired every time you post. Tim, thank you for the Baptist fan marking video. 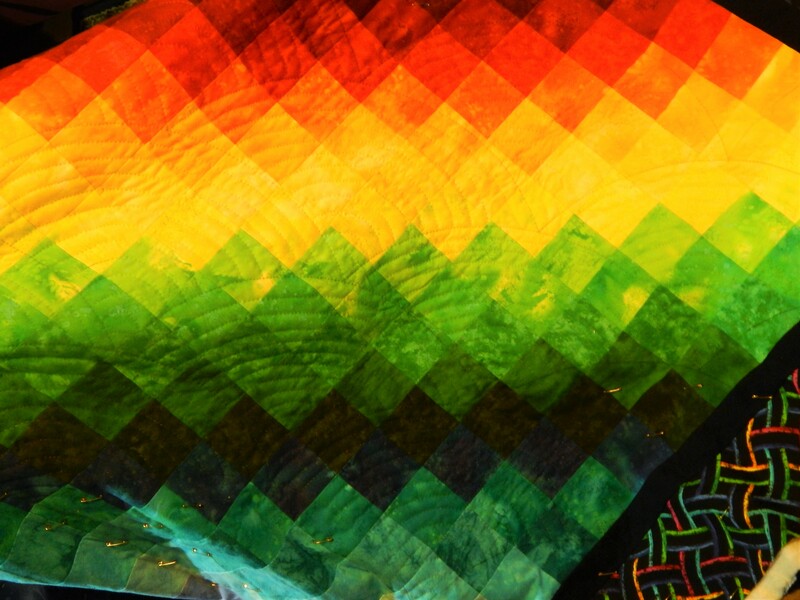 Once again you have shared a low tech method with our quilting community. I have learned to check your site first before I invest in yet another “time saving” notion or gimmic. To be sure I would have saved an awful lot of money on the some of the things that are sitting in a drawer unused. You’re such an inspiration. Thank you for sharing. I’ve been wondering how to mark for a Bishop’s fan. This way looks easy!!!! Thanks for the video. I love to see old machines saved and put back to use! And they are such great quality! no plastic! Thank you so much for posting the video about marking the Baptist Fan. I have learned so much from you.